Cashmere, we got cashmere! Not to mention 874 wonderful yards of it. 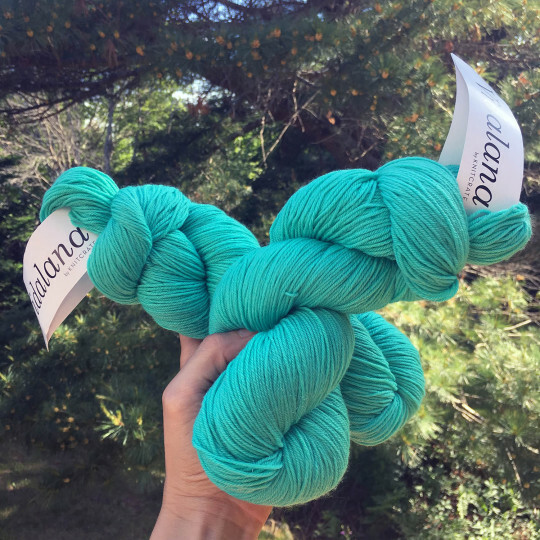 Ok, ok, it’s a blend, but let me tell you, it goes a long way to make each skein of Vidalana Sumptous feel like a cloud. Yes, you can use this 75% superwash Merino, 15% nylon, 10% cashmere yarn for socks–but it’s excellent for shawls, too! My name is Julie, and I am a crochet designer & instructor. 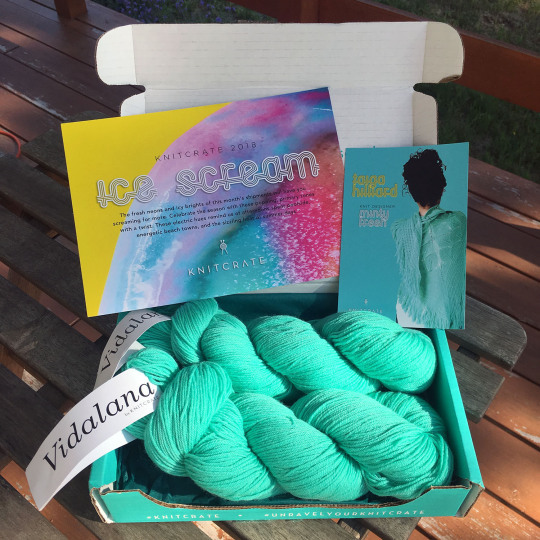 I’m excited by the Knitcrate “Ice Scream” themed Membership Crate for June 2018, because it includes a WEARABLE crochet project! I got the yarn in Smacker, the red, but that yellow is stunning!